Technology entrepreneur Elon Musk is worried that internet giant Google could create an evil robot army bent on annihilating the human race - by accident. "Elon Musk" is a new authorized biography of the CEO of the space transport company SpaceX and electric car manufacturer Tesla Motors. The book is written by American business columnist Ashlee Vance. Musk and Google CEO Larry Page are friends, and though Musk believes Page is well meaning, he worries Google's intensified research into robotics could "produce something evil by accident", the book says. 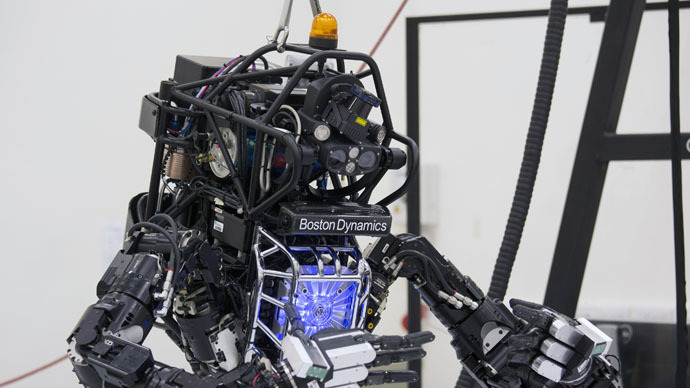 Google has recently bought a number of robotics companies, including Boston Dynamics, famous for its animal-like four-legged machines with somewhat creepy gaits, as well as the humanoid Atlas. One of Boston Dynamics' projects, the Big Dog, was developed for, and funded by, the US military. But it is not the machines themselves, however unsettling they may look, that are worrying Elon Musk. It is the artificial intelligence (AI) that Google might design to run the robots. Google CEO Page has publicly said that the creation of AI is possible. "You should presume that someday, we will be able to make machines that can reason, think and do things better than we can," he said in a July 2014 interview to Khosla Ventures. Elon Musk, on the contrary, says AI is not only one of the biggest existential threats to humanity, but approaching fast. "The risk of something seriously dangerous happening is in the five-year timeframe. Ten years at most," Musk wrote in a leaked private comment to an internet publication about the dangers of AI, a few months ago. "Please note that I am normally super pro-technology and have never raised this issue until recent months. This is not a case of crying wolf about something I don't understand," Musk wrote. Elon Musk is not the only one worried about AI. Among the strong supporters of the idea that thinking machines are dangerous is physicist Stephen Hawking. “The development of full artificial intelligence could spell the end of the human race,” Hawking told the BBC in December, saying humans "couldn't compete and would be superseded" by robots.